Avon Scherff, President of Scherff Insurance Agency in Clifton Park, believes it's important for young girls to know someone is listening, cares, and wants to see them succeed. This desire has led her to form I Am I Can, an organization aimed at mentoring girls in grades 9-12. I Am I Can's mission is to "encourage young women to discover their dreams, to believe their future holds endless possibilities and empower them to make it happen." 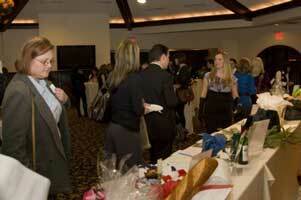 On November 9, 2010, the organization had a very successful launch event at the Saratoga National Golf Course. Approximately 70 people took the opportunity to talk informally with Ms. Scherff and the board, as well as enjoy light hors d'oeuvres and participate in the silent auction. The night raised money and awareness, both paramount to I Am I Can's plans to help girls in the community thrive for years to come. A signature pendant has been created to represent I Am I Can and portions of its sales will benefit the organization. The pendant, priced at $30, was designed to be wearable by both teenagers and women alike. It will be on sale shortly on the website of I Am, I Can. I Am I Can is off to a strong start, but can still use help. One board member is still needed, as well as mentors and community directors. Mentors and advocates would be connected one-on-one with a young girl, meeting, sharing activities, and most importantly, helping the girls to establish and accomplish goals. Community directors would represent a specific community, and aim to promote the organization and its mission, as well as develop their own team and seek to locate girls and build up the program in that community. Ms. Scherff notes that "it's amazing how many women have had to overcome challenges" to get where they are today. It is these women who have the insight and experience to help foster growth in the girls who will be our community leaders of tomorrow. These women, who have conquered all obstacles to find success in their lives and careers, are the women I Am I Can would like to become mentors. If you believe in empowering young girls in this community to find the confidence and assistance necessary to achieve their goals, contact I Am I Can at (518) 688-3010 ext. 102 to learn more about student participation and opportunities to volunteer. Image courtesy of I Am, I Can.